Apprenticeships – One Of The Solutions For The Workforce Shortage Problem In U.S. Manufacturing? Production Components is a representative and distributor for some of the top assembly equipment in the manufacturing sector. Working with our principals and partners, we develop solutions for our customers that are robust, reliable, and affordable. We strive to add value to our principals and our customers, and help them to become more productive, more competitive, and more profitable. Today we are debuting the first in a series of blogs regarding the challenges that face manufacturing companies today and some possible solutions. Our hope is to spark dialogue and share ideas about how best to solve these issues. Much of the content was inspired by and sourced from a recent story featured on NPR’s Marketplace program, but with additional insight specific to our market, focus and experience. Please share and contribute your thoughts. 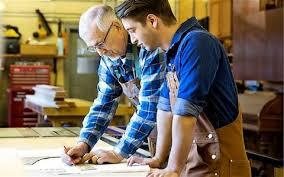 Apprenticeship programs – One Of The Answers For The Shortage In The U.S. Workforce In Manufacturing? The United States needs to create more manufacturing jobs: Nobody disputes this. The loss of manufacturing jobs is a problem here in the U.S. where factory workers are aging and manufacturers are worried there won’t be enough young people with the technical skills to do their jobs in the future. The worker shortage is a national problem. Estimates are that U.S. manufacturers will need to fill more than 3.5 million jobs over the next decade. Germany, which continues to maintain manufacturing at nearly a quarter of its economy (about twice the share as the US manufacturing has in our economy), doesn’t have the same worker shortage problem. Why is that? A key element is Germany’s apprenticeship training program. Every year, about half a million young Germans enter the workforce through their apprenticeship programs. This gives manufacturing in Germany a continuous stream of highly qualified workers, maintaining its well-deserved reputation for manufacturing top-quality goods. Rauner says the U.S. approach to education in the trades hasn’t been effective because it’s often not connected to specific jobs at real companies. One of the reasons for this is the difficulty in getting American companies to buy into the apprenticeship programs because of the up-front cost of training. Ludger Deitmer, also of the U of Bremen, is international research coordinator at the Institute of Technology and Education at the University, says that the low cost of apprentice labor reduces a company’s net training cost a little over $10,000, The real pay-off, he adds, is that after three years they have a highly-skilled worker trained specifically for what that company does. Starting in 2011, the German American Chamber of Commerce helped set up German-style apprenticeship programs in ten states: Georgia, Illinois, Wisconsin, Michigan, Indiana, Virginia, North Carolina, South Carolina, Alabama and Tennessee. Here’s how the programs are going in two of those states. The state of Georgia, through a program called Georgia Consortium for Advanced Technical Training (CATT) starts high school students in a three-year program when they’re 15. The program matches the student with a nearby technical college and a factory where they learn technical skills on the actual plant floor. Companies train and mentor high school students, but also commit to $25,000 to fund student salaries. There are 20 manufacturers that are part of the program. Georgia’s Lt. Gov. Cagle says the state of Georgia’s goal is to offer this kind of opportunity to every high school student by 2020. “This is a great win-win, for not only the student but obviously for industry,” said Cagle. South Carolina started a program called Apprenticeship Carolina. Unique about South Carolina’s program is that they have taken the apprenticeship beyond what is typical – the trades and manufacturing – and implemented the program to other fields like nursing, pharmacy and IT. What’s the South Carolina’s secret of success? Firstly, they give a state tax credit for companies – $1,000 per year per apprentice for four years. The biggest factor though, is German companies like BMW and Bosch, which have plants in the state and brought with them the German system of apprenticeships. The company followed the German model starting apprentices off early. They start after their junior year in high school, combining classwork with on-the-job training. “We didn’t go over and take verbatim what their model is, but a lot of how we set up our apprenticeship is based on that German model,” Arnett says. Graduates of the company’s apprenticeship program make around $16 an hour and can earn up to $24 as they gain more experience. So Why Aren’t There More Apprenticeship Programs In The U.S.? One would think, given all the positives to be gained from apprenticeships, implementing the programs country-wide would be a no-brainer. Instead, in the last 15 years the number of apprentices in the U.S. has gone down from almost 500,000 to less than 300,000. But people involved in apprenticeships have noticed the following: the stigma associated with a young person not going to college after high school. In many cases, there is the belief that a child going into the trades after high school, instead of college, is somehow a failure on both the child and parent’s parts. This is not the case in many parts of Europe, where a student early on in high school is steered toward his or her vocation based on their strengths and aptitude. Europe understands that not everybody wants to be a CEO or sit behind a desk. In Germany there’s still lots of prestige attached when someone, trained through apprenticeship, achieves master status. Perez says apprenticeships can be a boon for the U.S. economy. But some of the toughest People to convince are parents. “When you talk to people in the manufacturing context and you say, ‘Hey, your son or daughter should be an apprentice manufacturer,’ too many parents look at me and say, ‘Tom, my kid’s going to college.’ “. Perez adds that apprentices can always get their degrees while they work — and employers will often help defray that cost. What’s Next? What Do You Think? So while Apprenticeships may not be a cure-all for the shortage in the manufacturing workforce, it could be one avenue to explore to help solve the problem. It certainly seems to be working for Germany and looks to have real potential in the two states highlighted in this article. Is there a way to start de-stigmatizing the fact that a student might want to build things instead of going to college? Can the U.S. change its attitude regarding jobs in the trades vs. “white-collar” jobs? Are there enough companies willing to take the risk and try something new like apprenticeships? Are there better ways to build up the manufacturing work-force? These are some of the questions we face as we look to the future in manufacturing. As the U.S. explores new ways to remedy a lack of skilled labor with apprenticeships and specialty programs, we at Production Components believe that the proper machinery, tools and technology are essential in bridging the worker shortage gap. Without the right tools and technology, no amount of manpower is going to drive the renaissance of manufacturing in this country. And in this time of increasing globalization, with emerging markets that promise amazing growth opportunity, and significant competition from those markets and other developed countries, we must be able to compete and be profitable with our manufacturing. We invite you to talk to us about how the technology and machinery we represent can help create the kind of sustainability you and your company will need to get to stay competitive and profitable. And how harnessing today’s disruptive technologies can help your business attract the people you will need to grow and prosper over the next decade. If you have a comment or an opinion on this topic, go ahead and let us know by submitting your comments by clicking on “Leave a reply” at the top of this post. We would love to hear from you. This entry was posted in Apprenticeships, Engineering, Manufacturing, Schmidt Presses and tagged Apprenticeships, engineering, Manufacturing, Schmidt Presses, technology on February 20, 2018 by Prodcomp1. 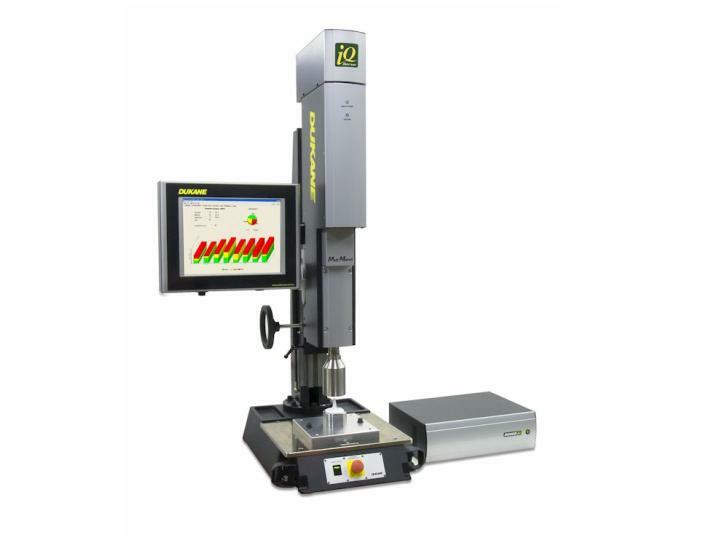 Since the introduction of the Dukane IQ ServoPress Ultrasonic Welding System in 2007, the benefit it has brought to their customer base cannot be overstated. SEL is a world leader in the design and manufacturing of protection, monitoring, control, communications and metering products for power grids and power systems around the globe. A few years ago, SEL was facing a difficult challenge when welding a clear lens display screen to the polycarbonate body of one of their indicators, which is used on transformers, switchgear, sectionalizing cabinets, junction boxes and splices. Because the indicator is used in harsh, submersed and corrosive environments, the housing requires a hermetic seal that has to withstand a temperature from -40 to 150 °F. Unfortunately, the pneumatic welding process SEL was using was not giving them the seal they needed. Eventually, according to Rick Lewis, manufacturing engineering supervisor at Schweitzer, SEL decided to redesign the plastic injection molds and to have ultrasonic welding supplier Dukane Corp. test the parts at the Dukane applications lab in St. Charles, IL. There, using a 20-kilohertz-frequency iQ Series servo-controlled welder, the Dukane specialists discovered that the solution was to vary weld speeds. After testing, Dukane determined the optimum varying weld velocity speed setting to be from 0.02 to 0.09 inch per second. Holt says that the unique technology called Melt-Match® in the iQ system also proved helpful for this project. Match Melt® precisely matches the downward motion of the horn to the melt flow characteristics of the plastic to optimize molecular intermingling and produce strong welds. Holt said that Dukane’s Melt-Detect™, which ensures complete initiation of plastic melting before prompting the horn to initiate downward movement, was also a factor in optimizing the process. This is yet another example of Dukane’s applications lab expertise, proprietary technology like Melt-Match® and Melt-Detect™ and the second-to-none IQ ServoPress system finding solutions for customers to ensure the best results in their manufacturing and their company’s bottom line. For more information on Dukane’s products and how we at Production Components can help you with Dukane products, call us at 203 881 3013 or email us at [email protected]. This entry was posted in Dukane, Manufacturing, servo and tagged Dukane, iQ Series, Melt-Detect, Melt-Match, servo, ServoPress, ultrasonic welding on July 21, 2017 by Prodcomp1. We are pleased to introduce our newest sales representative, Tom Terrio, who will be representing all of the assembly, production and automation products we carry in CT, Metro NY, NJ and PA.
Tom, with 20 years of sales experience in the manufacturing industry, specifically in systems integration/packaging automation & equipment, printing/industrial roller, blanket, and chemical manufacturing, is excited to join Production Components and would be happy to discuss in person or over phone/e-mail, how he can help our customers with any application solutions they may be seeking. 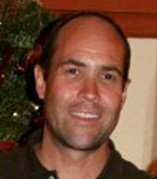 Please join us in welcoming Tom and don’t hesitate to contact him at: 203 819 2396 or at [email protected]. The Team at Production Components. 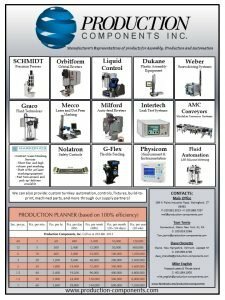 Production Components has been in business in New England since 1977, and for the past 40 years we have represented some of the premier manufacturer’s in the field of assembly, automation and production – Schmidt, Graco and Dukane, to name just a few. In addition to our standard products, we have partnered with other local vendors for specific projects which require unique solutions. We have representatives located in Connecticut, Rhode Island and New Hampshire, so we are never more than a few hours away. Production Components works with our principals and partners to come up with solutions that are robust, reliable, and affordable – and we provide continual support of the equipment to make sure that it continues to serve you reliably. We can be reached at our main office in Wallingford, CT at 203 881 3013 or at [email protected]. This entry was posted in Dukane, Engineering, Graco, Manufacturing, Nolatron, Orbitform, Schmidt Presses, Weber and tagged engineering, Manufacturing, Sales-team on June 8, 2017 by Prodcomp1.